The following is a copy of remarks I made in an appearance before the Standing Senate Committee on Banking, Trade and Commerce, on November 21, 2018. The remarks are about proposed amendments to the Trade-marks Act found in the omnibus Bill C-86. I realize that not everyone is as interested in official marks as I am. To get a sense of what the fuss is all about, you can have a look at my posts about the overprotection of Olympic Marks, the dispute over the Spirit Bear mark, the struggle to register a trademark in the face of an wrongly granted and since abandoned official mark, Canada Post’s official marks for POSTAL CODE and CODE POSTAL and a previous private member’s bill to reform official marks. Canada’s official marks regime has long been criticized by lawyers, academics and the Federal Court. In fact, it is the Federal Court that has, over the years, created some much needed boundaries for these “super marks”. The problems with official marks are well known, but they have largely been ignored by Parliament. It is therefore refreshing to see the proposed changes in ss. 215 and 216 of Bill C-86. Sections 215 and 216 address only one of the problems with the official marks regime. Although it is an important one, it is worth noting that there is more that could be done. The goal of my remarks will be to identify what I see as two shortfalls of ss 215 and 216. Official marks are a subcategory of prohibited marks, which may not be adopted, used or registered unless consent is provided. They are available to “public authorities”. A public authority need only ask the Registrar of Trademarks to give public notice of its adoption and use of an official mark for that mark to be protected. There are no limits to what can be adopted. There are no registration formalities, no examination or opposition proceedings. Until the very recent decision of the Federal Court in Quality Program Services Inc. v. Canada, it seemed nothing prevented a public authority from obtaining an official mark that was identical to or confusing with an already registered trademark. While Quality Program Services at least provides consequences for adopting a confusing official mark, it is currently under appeal and it is not certain that the decision will be upheld. This is another instance of the Federal Court trying to set boundaries for official marks that simply have not been set in the legislation. Official marks are theoretically perpetual in duration. They remain on the register until they are either voluntarily withdrawn by the ‘owner’ (and owners rarely think to do this), or until a successful (and costly) action for judicial review results in one being struck from the Register. Until the Ontario Association of Architects decision in 2002 tightened up the meaning of ‘public authority’, official marks were handed out like Halloween candy, and many entities that were not ‘public authorities’ were able to obtain official marks. Many of these erroneously-issued official marks continue to exist today; in fact, the Register of Trademarks has become cluttered with official marks that are either invalid or no longer in use. (4) In the circumstances set out in subsection (3), the Registrar may, on his or her own initiative or shall, at the request of a person who pays a prescribed fee, give public notice that subparagraph (1)‍(n)‍(iii) does not apply with respect to the badge, crest, emblem or mark. There is no reason why a person who has paid a fee to have established the invalidity of an official mark should not have the Registrar give public notice of this. (5) The Registrar may at any time – and, at the written request of a person who pays a prescribed fee, made after three years from the date that public notice was given of an official mark, shall, unless the Registrar sees good reason to the contrary – give notice to the public authority requiring it to furnish, within three months, an affidavit or a statutory declaration showing that the official mark was in use at any time during the three year period immediately preceding the date of the notice and, if not, the date when it was last so in use and the reason for the absence of such use since that date. (6) Where, by reason of the evidence furnished to the Registrar or the failure to furnish any evidence, it appears to the Registrar that an official mark was not used at any time during the three year period immediately preceding the date of the notice and that the absence of use has not been due to special circumstances that excuse it, the Registrar shall give public notice that subparagraph (1)‍(n)‍(iii) does not apply with respect to the badge, crest, emblem or mark. These are my comments on changes to the official marks regime that most closely relate to the amendments in Bill C-86. The regime has other deficiencies which I would be happy to discuss. A law suit filed in Montreal this summer raises novel copyright arguments regarding AI-generated works. The plaintiffs are artist Amel Chamandy and Galerie NuEdge Fine Arts (which sells and exhibits her art). They are suing artist Adam Basanta for copyright and trademark infringement. (The trademark infringement arguments are not discussed in this post). Mr Basanta is a world renowned new media artist who experiments with AI in his work. (See the Globe and Mail story by Chris Hannay on this law suit here). According to a letter dated July 4, filed with the court, Mr. Basanta’s current project is “to explore connections between mass technologies, using those technologies themselves.” He explains his process in a video which can be found here. Essentially, he has created what he describes as an “art-factory” that randomly generates images without human input. The images created are then “analyzed by a series of deep-learning algorithms trained on a database of contemporary artworks in economic and institutional circulation” (see artist’s website). The images used in the database of artworks are found online. Where the analysis finds a match of more than 83% between one of the randomly generated images and an image in the database, the randomly generated image is presented online with the percentage match, the title of the painting it matches, and the artist’s name. This information is also tweeted out. The image of the painting that matches the AI image is not reproduced or displayed on the website or on Twitter. One of Mr Basanta’s images was an 85.81% match with a painting by Ms Chamandy titled “Your World Without Paper”. This information was reported on Mr Basanta’s website and Twitter accounts along with the machine-generated image which resulted in the match. The copyright infringement allegation is essentially that “the process used by the Defendant to compare his computer generated images to Amel Chamandy’s work necessarily required an unauthorized copy of such a work to be made.” (Statement of Claim, para 30). Ms Chamandy claims statutory damages of up to $20,000 for the commercial use of her work. Mr Basanta, for his part, argues that there is no display of Ms Chamandy’s work, and therefore no infringement. AI has been generating much attention in the copyright world. AI algorithms need to be ‘trained’ and this training requires that they be fed a constant supply of text, data or images, depending upon the algorithm. Rights holders argue that the use of their works in this way without consent is infringement. The argument is that the process requires unauthorized copies to be fed into the system for algorithmic analysis. Debates have raged in the EU over a text-and-data mining exception to copyright infringement which would make this type of use of copyright protected works acceptable so long as it is for research purposes. Other uses would require clearance for a fee. There has already been considerable debate in Europe over whether research is a broad enough basis for the exception and what activities it would include. If a similar exception is to be adopted in Canada in the next round of copyright reform, we will face similar challenges in defining its boundaries. Of course, the Chamandy case is not the conventional text and data mining situation. The copied image is not used to train algorithms. Rather, it is used in an analysis to assess similarities with another image. But such uses are not unknown in the AI world. Facial recognition technologies match live captured images with stored face prints. In this case, the third party artwork images are like the stored face prints. It is AI, just not the usual text and data mining paradigm. This should also raise questions about how to draft exceptions or to interpret existing exceptions to address AI-related creativity and innovation. In the US, some argue that the ‘fair use’ exception to infringement is broad enough to support text and data mining uses of copyright protected works since the resulting AI output is transformative. Canada’s fair dealing provisions are less generous than U.S. fair use, but it is still possible to argue that text and data mining uses might be ‘fair’. Canadian law recognizes fair dealing for the purposes of research or private study, so if an activity qualifies as ‘research’ it might be fair dealing. The fairness of any dealing requires a contextual analysis. In this case the dealing might be considered fair since the end result only reports on similarities but does not reproduce any of the protected images for public view. The problem, of course, with fair dealing defences is that each case turns on its own facts. The fact-dependent inquiry necessary for a fair dealing defense could be a major brake on innovation and creativity – either by dissuading uses out of fear of costly infringement claims or by driving up the cost of innovation by requiring rights clearance in order to avoid being sued. The claim of statutory damages here is also interesting. Statutory damages were introduced in s. 38.1 of the Copyright Act to give plaintiffs an alternative to proving actual damage. For commercial infringements, statutory damages can range from $500 to $20,000 per work infringed; for non-commercial infringement the range is $100 to $5,000 for all infringements and all works involved. A judge’s actual award of damages within these ranges is guided by factors that include the need for deterrence, and the conduct of the parties. Ms Chamandy asserts that Mr Basanda’s infringement is commercial, even though the commercial dimension is difficult to see. It would be interesting to consider whether the enhancement of his reputation or profile as an artist or any increase in his ability to obtain grants would be considered “commercial”. Beyond the challenge of identifying what is commercial activity in this context, it opens a window into the potential impact of statutory damages in text and data mining activities. If such activities are considered to infringe copyright and are not clearly within an exception, then in Canada, a commercial text and data miner who consumes – say 500,000 different images to train an algorithm – might find themselves, even on the low end of the spectrum, liable for $250 million dollars in statutory damages. Admittedly, the Act contains a clause that gives a judge the discretion to reduce an award of statutory damages if it is “grossly out of proportion to the infringement”. However, not knowing what a court might do or by how much the damages might be reduced creates uncertainty that can place a chill on innovation. Although in this case, there may well be a good fair dealing defence, the realities of AI would seem to require either a clear set of exceptions to clarify infringement issues, or some other scheme to compensate creators which expressly excludes resort to statutory damages. The vast number of works that might be consumed to train an algorithm for commercial purposes makes statutory damages, even at the low end of the scale, potentially devastating and creates a chill. Canada’s Federal Court of Appeal has handed down a decision that addresses important issues regarding control over commercially valuable data. The decision results from an appeal of an earlier ruling of the Competition Tribunal regarding the ability of the Toronto Real Estate Board (TREB) to limit the uses to which its compilation of current and historical property listings in the Greater Toronto Area (GTA) can be put. Through its operations, the TREB compiles a vast database of real estate listings. Information is added to the database on an ongoing basis by real estate brokers who contribute data each time a property is listed with them. Real estate agents who are members of TREB in turn receive access to a subset of this data via an electronic feed. They are permitted to make this data available through their individual websites. However, the TREB does not permit all of its data to be shared through this feed; some data is available only through other means such as in-person consultation, or communications of snippets of data via email or fax. The dispute arose after the Competition Commissioner applied to the Competition Tribunal for a ruling as to whether the limits imposed by the TREB on the data available through the electronic feed inhibited the ability of “virtual office websites” (VOWs) to compete with more conventional real estate brokerages. The tribunal ruled that they did, and the matter was appealed to the Federal Court of Appeal. Although the primary focus of the Court’s decision was on the competition issues, it also addressed questions of privacy and copyright law. The Federal Court of Appeal found that the TREB’s practices of restricting available data – including information on the selling price of homes – had anticompetitive effects that limited the range of broker services that were available in the GTA, limited innovation, and had an adverse impact on entry into and expansion of relevant markets. This aspect of the decision highlights how controlling key data in a sector of the economy can amount to anti-competitive behavior. Data are often valuable commercial assets; too much exclusivity over data may, however, pose problems. Understanding the limits of control over data is therefore an important and challenging issue for businesses and regulators alike. The TREB had argued that one of the reasons why it could not provide certain data through its digital feed was because these data were personal information and it had obligations under the Personal Information Protection and Electronic Documents Act to not disclose this information without appropriate consent. The TREB relied on a finding of the Office of the Privacy Commissioner of Canada that the selling price of a home (among those data held back by TREB) was personal information because it could lead to inferences about the individual who sold the house (e.g. : their negotiating skills, the pressure on them to sell, etc.). The Court noted that the TREB already shared the information it collected with its members. Information that was not made available through the digital feed was still available through more conventional methods. In fact, the Court noted that the information was very widely shared. It ruled that the consent provided by individuals to this sharing of information would apply to the sharing of the same information through a digital feed. It stated: “PIPEDA only requires new consent where information is used for a new purpose, not where it is distributed via new methods. The introduction of VOWs is not a new purpose – the purpose remains to provide residential real estate services [. . .].” (at para 165) The Court’s decision was influenced by the fact that the consent form was very broadly worded. Through it, TREB obtained consent to the use and dissemination of the data “during the term of the listing and thereafter.” This conclusion is interesting, as many have argued that the privacy impacts are different depending on how information is shared or disseminated. In other words, it could have a significant impact on privacy if information that is originally shared only on request, is later published on the Internet. Consent to disclosure of the information using one medium might not translate into consent to a much broader disclosure. However, the Court’s decision should be read in the context of both the very broad terms of the consent form and the very significant level of disclosure that was already taking place. The court’s statement that “PIPEDA only requires new consent where information is used for a new purpose, not where it is distributed via new methods” should not be taken to mean that new methods of distribution do not necessarily reflect new purposes that go beyond the original consent. The Federal Court of Appeal also took note of the Supreme Court of Canada’s recent decision in Royal Bank of Canada v. Trang. In the course of deciding whether to find implied consent to a disclosure of personal information, the Supreme Court of Canada had ruled that while the balance owing on a mortgage was personal information, it was less sensitive than other financial information because the original amount of the mortgage, the rate of interest and the due date for the mortgage were all publicly available information from which an estimate of the amount owing could be derived. The Federal Court of Appeal found that the selling price of a home was similarly capable of being derived from other publicly available data sources and was thus not particularly sensitive personal information. Finally, the Competition Tribunal had ruled that the TREB did not have copyright in its compilation of data because the compilation lacked sufficient originality in the selection or arrangement of the underlying data. Copyright in a compilation depends upon this originality in selection or arrangement because facts themselves are in the public domain. The Federal Court of Appeal declined to decide the copyright issue since the finding that the VOW policy was anti-competitive meant that copyright could not be relied upon as a defence. Nevertheless, it addressed the copyright question in obiter (meaning that its comments are merely opinion and not binding precedent). The Federal Court of Appeal noted that the issue of whether there is copyright in a compilation of facts is a “highly contextual and factual determination” (at para 186). The Court of Appeal took note of the Tribunal’s findings that “TREB’s specific compilation of data from real estate listings amounts to a mechanical exercise” (at para 194), and agreed that the threshold for originality was not met. The Federal Court of Appeal dismissed the relevance of TREB’s arguments about the ways in which its database was used, noting that “how a “work” is used casts little light on the question of originality.” (at para 195) The Court also found no relevance to the claims made in TREB’s contracts to copyright in its database. Claiming copyright is one thing, establishing it in law is quite another. Note that leave to appeal this decision to the Supreme Court of Canada was denied on August 23, 2018. A recent incident raises important issues about excessive control over data and information. Open data activists, who have long battled to liberate government data will recognize the principles at play here. The difference in this case, is that the data over which control is being asserted are in private sector hands. Yet while the law necessarily provides means for private sector organizations to exercise control over data and information in appropriate circumstances, this control is not without its limits. In this case, the limits may have been seriously overstepped. A Toronto-area man who posted his own data-visualization based on Toronto real estate data hasreceived a blunt cease and desist notice from counsel for the Toronto Real Estate Board (TREB). The story, which was reported by David Hains in Metro News, explains that the 26 year old data analyst named Shafquat Arefeen created the visualization as a personal project and posted it on his non-commercial website. The visualization, which is no longer available as a result of the letter, provided an overview of housing sales activity in Toronto and contained data that, among other things, showed the differences between listing and selling prices, including data for specific house sales. It is a basic and fundamental principle of copyright law that facts and information are in the public domain. The Federal Court of Canada has clearly stated: “there can be no copyright in information.”( Nautical Data International Inc v. C-Map USA Inc. at para 11), as has the Supreme Court of Canada: “copyright protection does not extend to facts or ideas but is limited to the expression of ideas.” (CCH Canadian Ltd. v. Law Society of Upper Canada, at para 22). Let’s assume for the sake of argument that there is a copyright claim to be made. Even in those cases where copyright in a compilation of data is found to exist, a second user who does not take a substantial part of the selection or arrangement of the data does not infringe copyright. If Mr. Arefeen’s visualization was his own original expression of the data that he used, then it would be very difficult to sustain an argument that there was a substantial taking of the arrangement of the TREB’s data. It is not clear whether it constituted substantial taking of any original selection of the data – this is far from an open and shut issue. Yet even if a court were to find substantial taking of a selection, Mr. Arefeen would be entitled to rely upon the fair dealing exceptions in the Copyright Act. The Supreme Court of Canada has mandated a generous approach to fair dealing, and there is every possibility that this non-commercial use might be considered fair – in other words, not infringing. The bottom line is that any claim to either copyright in the data or infringement of any such copyright would appear to be very weak. The cease and desist letter also contains strong language alleging that Mr. Arefeen’s use of the data was a violation of the Personal Information Protection and Electronic Documents Act (PIPEDA). PIPEDA applies only to personal information that is collected, used or disclosed in the course of commercial activity. Mr. Arefeen’s website appears to be non-commercial – it does not even contain advertising. If this is the case, PIPEDA does not apply. There are also exceptions to the application of PIPEDA where information is collected, used or disclosed for journalistic or artistic purposes. Frankly, it’s hard to see how PIPEDA would apply in this instance. The cease and desist letter achieved its objective in that Mr. Arefeen took down his data visualization, and it is no longer available to a public according to the newspaper coverage found it useful and interesting. This allows the TREB to maintain control over its closely controlled data about the real estate market in Ontario. It also enables it to restrict public engagement with data that are relevant, interesting and important to Toronto residents. The outcome highlights the imbalance between well-resourced data ‘owners’ and data users – particularly those who act in the public interest. Such users often have limited resources either to pay for data licences or to hire lawyers to push back against excessive claims. The result is far from being in the public interest. In early July 2017 I attended an excellent workshop hosted by researchers at the Centre for Information Technology, Society and Law at the University of Zurich. The objective of the workshop was to bring a group of academic experts together to discuss data ownership rights. It is perhaps not surprising that the issue of ownership rights in data is bubbling to the surface as we move further into the evolving big data environment. Data have been described as the new “oil” of the information society. They have a tremendous value and are strongly linked to innovation. 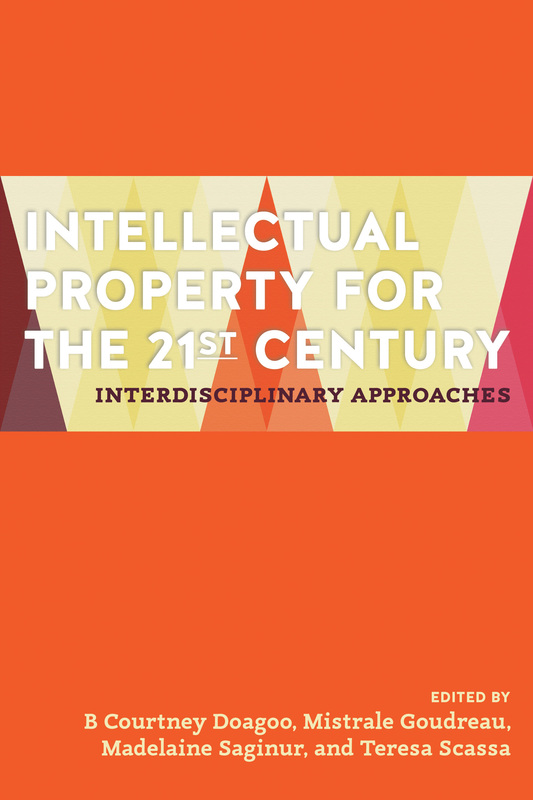 One of the ways in which industrialized nations have nurtured innovation has been through the creation of intangible property rights such as intellectual property rights. Data ownership rights flow from that same industrial era mind set. However, it is far from clear that this paradigm is a good fit for data and data-related innovation. In fact, the way data are made available and the extent to which data are flowing across sectors and organizations, play a fundamental role in sustaining and developing the emergence of a European data-driven economy. In defining and specifying the rights to create, edit, modify, share and restrict access to data, data ownership becomes a pivotal factor affecting a growing number of potential data users and an increasing range of data-related activities. One might perhaps be forgiven for thinking that there are already data ownership rights; for example, terms of service for websites frequently state that the company behind the website “owns” its data. Canada’s federal government even got its knuckles rapped by the Federal Court of Appeal for making a similar copyright-based claim in one of its data licences (see my post on this decision here). And, while the law of confidential information could be argued to provide a kind of property right in data or information, in reality what is protected by this body of law is the confidentiality of the information. Once confidentiality is lost, it is clear that there is no underlying ‘property’ right in the data. Policy makers have long been wary of extending IP rights to data – and for some very good reasons. Copyright law, for example, does not protect “facts”, viewing them instead as the building blocks for creativity and expression, and therefore part of the public domain. Of course, copyright law does protect the original selection and arrangement that goes into creating a compilation of facts (i.e. a data set). How extensive this protection ultimately is depends on what a court sees as the taking of a substantial part of that selection or arrangement. It is this protection for compilations of data that no doubt supports those Terms-of-Service claims to ownership of data mentioned above, but the scope and extent of copyright protection in such circumstances is nevertheless limited and uncertain. In the EU, database rights have provided a broader protection for databases, but it still, fundamentally, is not a protection for the data that make up the database. It is difficult to see where the interest in a data ownership right is coming from. No clear or pressing need to enhance the protection available for data has been identified. Data ownership rights might be more likely to create confusion and uncertainty – and to increase transaction costs and slow innovation – than to improve the current situation. It would be difficult – and hugely problematic – even to begin to try to identify the ‘owners’ of rights in data and to manage the potential competing interests. And while there are undoubtedly issues around the fairness of particular uses of data, or the legitimacy of means used to acquire data, existing laws already offer a range of recourses and remedies that may be applicable in any given case. The brief summary of our meetings on data ownership is now publicly available, and it addresses these and many other issues relating to data ownership rights. Our conclusions – that there is no evident need for a new data ownership right and that it would be impossibly difficult to define or constrain – offer a caution to those who regard property rights as a panacea in marketplaces of all kinds. This post is based upon a presentation I gave at a panel organized jointly by the Centre for Law, Technology and Society and the Centre for Health Law, Policy and Ethics at the University of Ottawa on February 1, 2017. Canada is on the cusp of passing new legislation and enacting new regulations that will put us among a growing number of countries that have made plain packaging mandatory for tobacco products. Bill S-5, currently before the Senate, will amend the Tobacco Act to enable regulations to dictate the appearance of tobacco packaging. While the regulations are not currently available, it is to be expected that they will contain measures similar to those already introduced in Australia and Britain. Essentially plain packaging means prescribing a plain colour, size and configuration for all tobacco packages. In addition, packages will be used to convey graphic images and public health warnings. The only permitted use of tobacco trademarks will be of word marks consisting of the brand name and sub name in a prescribed font, colour and type-size. Tobacco trademarks consisting of logos, crests, images, colour, shape, configuration, or design will no longer be capable of use on tobacco product packaging. Plain packaging is a movement driven by the World Health Organization’s Framework Convention on Tobacco Control, of which Canada is a signatory. Interestingly, however, the treaty does not require signatories to implement plain packaging. Article 11 of the Convention addresses packaging, but merely requires that false and deceptive elements on packaging be banned (e.g. using “mild” to designate cigarettes that are every bit as harmful as regular cigarettes); that health warnings take up 30-50% of packaging surface; and that packages contain information about constituent ingredients and product emissions. Canada’s current packaging regulations are consistent with these requirements. Plain packaging is merely mentioned as something that signatory states “should consider” in paragraph 46 of the Guidelines for Implementing Article 11 of the Convention. Thus, it is important to underline that Canada is not under an international obligation to introduce plain packaging legislation. While the link between smoking and serious illness/death seems uncontestable, and the reduction of smoking is clearly an important public health objective, there is reason to question the wisdom of the plain packaging approach. Australia was the first country to introduce plain packaging in 2011. Its legislation survived a constitutional challenge (it was argued to be an illegal expropriation of trademark owners’ rights), and is currently being challenged before the World Trade Organization (WTO) as a violation of Australia’s obligations under the TRIPS Agreement. Although considerable sums of money have been spent on defending Australia’s statute, the evidence emerging as to the beneficial impact of the legislation is ambivalent. Plain packaging measures in Canada are also likely to face legal challenges. Restrictions on the use of trademarks in the 1988 Tobacco Products Control Act were found by the Supreme Court of Canada to be a violation of the freedom of expression of trademark owners that could not be justified under s. 1 of the Canadian Charter of Rights and Freedoms. These provisions were struck down by the Court. Provisions related to the use of tobacco trademarks in sponsorship activities in a reconstituted Tobacco Act were also challenged for violating the freedom of expression, but the Supreme Court in 2007 found that the violation was justified as rationally connected to a pressing and substantial government objective, and that it minimally impaired the rights concerned. The takeaway from these cases is that restrictions on the use of tobacco trademarks (such as those necessary to implement plain packaging) clearly violate the freedom of expression. In any court challenge, therefore, the issue will be whether the measures can be justified under s. 1 of the Charter as a “reasonable limit, demonstrably justified in a free and democratic society”. It is important to remember that plain packaging restrictions are extreme and the evidence linking plain packaging to harm reduction is ambivalent. It is not obvious at the outset that such measures would survive a Charter challenge. Trademark owners have also objected that the restrictions will harm their ability to acquire and maintain trademark rights in relation to tobacco products. Bill S-5 contains provisions that indicate that non-use of tobacco trademarks resulting from plain packaging regulations will not be a basis for the invalidation of existing registered trademarks. However, this does not settle the question. Trademark rights cannot be acquired (or maintained) at common law without use, and the law does nothing to address this category of rights. 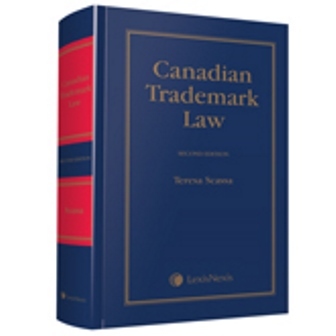 Further, certain kinds of trademarks (distinguishing guises, three-dimensional marks and other non-traditional subject marks soon to become registrable in Canada) cannot be registered until they have acquired distinctiveness through use. Plain packaging regulations might therefore constitute a bar to the registration of certain types of trademarks for use in relation to tobacco products. Canada’s existing international obligations under both the TRIPS Agreement and the NAFTA may lead to further challenges to the introduction of plain packaging. The creation of an impediment to the registration of certain types of trademarks for tobacco products may violate Article 15 of TRIPS, and there is an open and ongoing debate as to whether plain packaging laws also violate Article 20 which provides that “The use of a trademark in the course of trade shall not be unjustifiably encumbered by special requirements, such as use with another trademark, use in a special form or use in a manner detrimental to its capability to distinguish the goods or services of one undertaking from those of other undertakings.. . “. Australia’s legislation has been challenged under TRIPS, and a decision on its compliance with that treaty may be imminent. For its part, Article 1110 of the NAFTA provides that no member state can take a measure that is “tantamount to expropriation” of an investment except in limited circumstances which include a requirement to pay compensation. It is not clear whether a U.S.-based tobacco company could succeed before a NAFTA tribunal in arguing that the plain packaging laws amounted to an expropriation of their investment in their trademarks. The domestic challenge to Australia’s legislation turned on a property rights clause in the Australian constitution, and raised the question of whether the plain packaging was an expropriation of trademark rights. The majority of the court found that it did not, but of course that decision would not be binding on a NAFTA tribunal. The plain packaging regulations on the horizon for Canada are being introduced in the face of considerable uncertainty as to their legality both under Canada’s constitution and Canada’s international trade obligations. The extensive resources required to defend such measures should be weighed carefully not just against the likelihood of success of any challenges, but also against the public health benefits that are likely to flow from further changes to how tobacco products are packaged in Canada. It is perhaps also worth noting that there have been rumblings about plain packaging measures for other products considered harmful to public health, such as alcoholic beverages and junk food. The issues raised in relation to tobacco products have much broader implications, making this file one to watch. The Federal Court has just released a decision in a case that raised issues of fair dealing and copyright abuse. Blacklock’s, an Ottawa-based online news agency, had argued that officials at the Department of Finance breached its copyright in news articles when these articles were circulated internally. The decision is an important confirmation of the ‘right to read’ in Canada and may go some way to dispelling the aftertaste of an earlier flawed decision by the Ontario Small Claims Court in a similar dispute. Blacklock’s business model is to offer its news content on a subscription-only basis. Its articles are behind a paywall, and only subscribers, equipped with a password, can gain access to them. Individual subscriptions are available for $148 a year, whereas institutional subscription rates range between $11,470 and $15,670. In this case, a reporter from Blacklock’s had interviewed the President of the Canadian Sugar Institute, Sandra Marsden, for a story relating to sugar tariff changes. The same reporter had sought comments from Department of Finance officials and ultimately had an exchange of email correspondence with the Department’s media relations officer. In what appears to be Blacklock’s practice, teasers about the story were sent out to Marsden by email and by Twitter. Based on the teasers Marsden became concerned about the accuracy of the article. She paid for an individual subscription in order to access it. After reading the article her concerns grew and she cut and pasted the article into an email, to a Department official. The same reporter wrote a follow up piece which Marsden also found problematic; she forward this piece to the Department of Finance as well. The two articles were circulated between a total of 6 Finance employees who discussed amongst themselves whether any follow-up with Blacklock’s was required. In the end it was decided that the matter should be dropped. Justice Barnes found that the Finance officials “had legitimate concerns about the fairness and accuracy” of the reporting in the article. Her further found the internal circulation of the piece was justified on the basis that “[e]veryone involved had a legitimate need to be aware in the event that further action was deemed necessary”. (at para 35) He identified a number of considerations that influenced his conclusion that the officials’ dealing with the material was fair. He noted that the articles had not been obtained by illegal means such as hacking the website; rather, they had been provided by a subscriber to the site who had legally accessed them and had forwarded them for “a legitimate business reason”. (at para 36) The articles had been sent to the Finance officials and not solicited by them; they received limited circulation; and they were not republished or used for any commercial purpose. The court also found that the two articles were a tiny fraction of the content available from the Blacklock’s site. Further, Justice Barnes opined that “a finding of copyright infringement against a news source for the simple act of reading the resulting copy is likely to have a chilling effect on the ability of the press to gather information.” (at para 36). Justice Barnes also stated that “copyright should not be a device that serves to protect the press from accountability for its errors and omissions.” (at para 36). Blacklock’s had argued that its terms and conditions for access to its paywalled content had been breached when the material was forwarded to Finance officials, and that this breach should serve to negate a finding of fair dealing. Justice Barnes appeared sympathetic to this argument on its face, stating that it was a “relevant consideration” (though he did not state that it would necessarily be determinative). However, he cautioned that for this factor to be taken into account, the copyright owner would have to demonstrate that the user was aware of the terms and conditions and that the terms and conditions actually barred the conduct at issue. In this case, he found that none of the parties involved had either read or even been aware of Blacklock’s terms and conditions which were not readily part of the process for signing up for an individual subscription. He also found that the terms and conditions were not clear, stating: “On the one hand they seemingly prohibit distribution by subscribers but, on the other, they permit it for personal, or non-commercial uses.” (at para 42). As I noted in an earlier comment on this case, the defendants had argued that Blacklock’s was engaged in copyright misuse and was acting as a kind of “copyright troll”. In fact, there are 9 other suits brought by Blacklock’s against the federal government on similar sets of facts. Noting that “there are certainly some troubling aspects to Blacklock’s business practices”, Justice Barnes nevertheless found it unnecessary to rule on the copyright abuse and trolling arguments in light of his findings on fair dealing. The other cases, which were stayed pending the resolution of this first dispute, may now end up being settled out of court. In the course of his decision, Justice Barnes referred to what occurred in this case as “no more than the simple act of reading by persons with an immediate interest in the material.” (at para 36) This right to read is fundamentally important in a society that values knowledge and the freedom of expression. The decision makes it clear that business models for content distribution cannot run roughshod over certain fundamental users rights.